I fished the North Valley Tackle Open this past weekend. I had pre-fished for it the Friday before and the Friday before that and can tell you the fishing is off the hook at Oroville right now. I fished the 26th of October in the main body mostly then up into the North fork. All the fish I caught were more towards the main body of the lake. 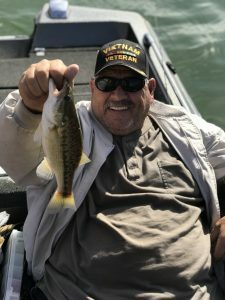 I used River2Sea rovers landing two fish, S-wavers getting two bites, then the majority of fish after that came on Yamamoto Hula Grubs in brown or green pumpkin. All together I landed about twenty fish. The key was to fish it slow in the 18-35 foot range. By slow I mean slow then just hop it every once in awhile. Long points with wind blowing across them was the most productive. On the 2nd of November I was fishing with my dad. We hit the middle basin and the main lake. The fishing was again stellar. For the first half hour I tried topwater and S-Wavers to no avail then we moved to a cove and the fishing took off. The Hula Grub and Carolina rigged Baby Brush hog in green pumpkin with the tails dyed chartreuse, caught a lot of fish. 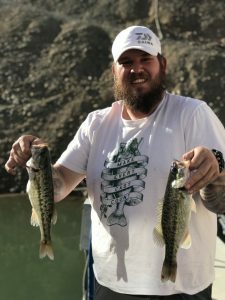 We found that fishing in the 20-60 foot range seemed to be the best bite with better fish coming from the depths. Then tournament day, fishing started great. The brush hog loaded the boat by 8:15am culling by 8:20am. 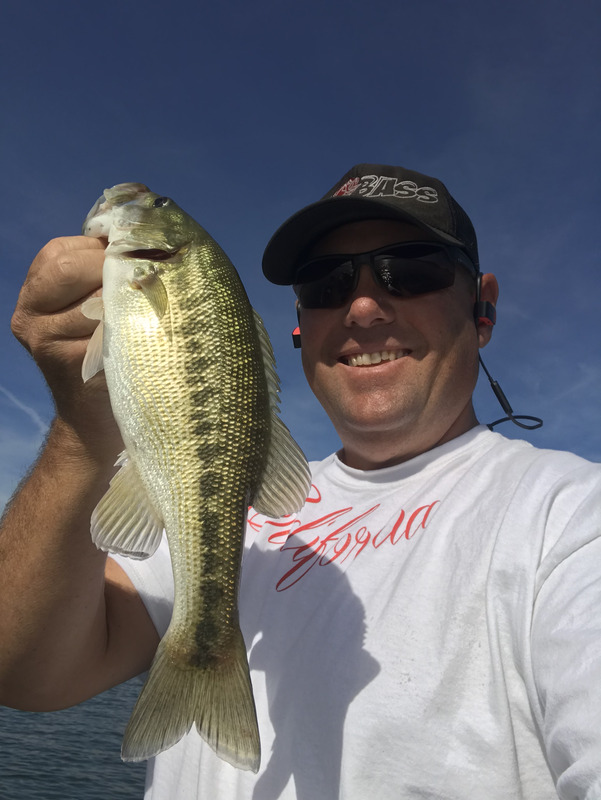 Threw in a spinnerbait fish and a couple drop-shot fish. At 9:15 the trolling motor blew up! This made fishing very tough. We still landed a few fish but couldn’t make it on the main body to get to the bigger fish. We tried but were very unsuccessful. Ended the tourney with 6.24 but left a ton of fish on the main lake, untouched. Get out to Oroville it is really popping right now.